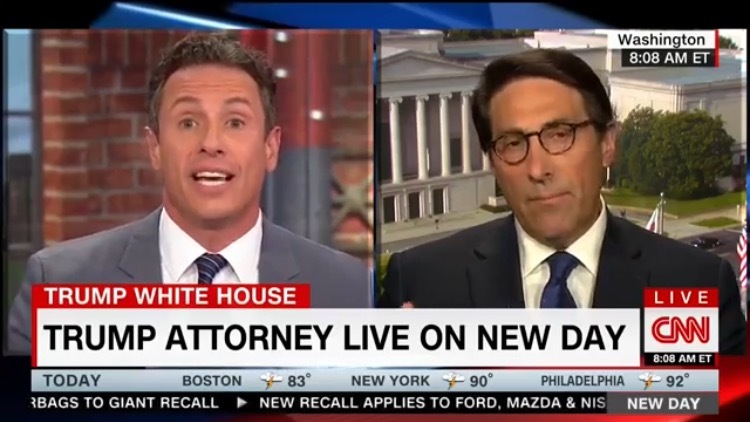 One of President Trump’s attorneys, Jay Sekulow spoke with CNN’s Chris Cuomo Wednesday morning about Donald Trump Jr.’s meeting with the Russian lawyer. Chris Cuomo immediately defended his Queen Hillary by saying it’s different for her to work with a foreign government because it’s Ukraine and not Russia. Really Cuomo? Please cite the law. After Cuomo gets hit with some cold hard facts from a lawyer on the actual law, he stutters as he once again mentions that Ukraine is not Russia. We know Chris, we know. Hillary Clinton not only coordinated with Ukrainian government officials during the 2016 election, she also had a secret meeting with a Chinese ambassador. But that’s okay because Hillary can do whatever the hell she wants without reprisal from the fake news media.